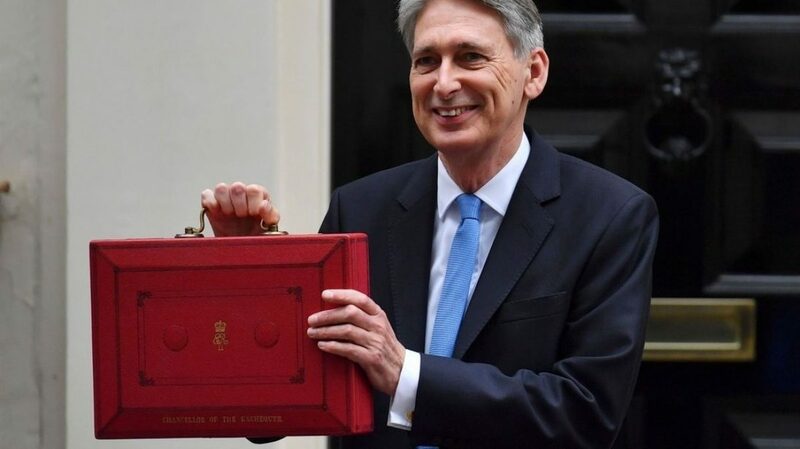 On Monday 29 October, the Chancellor of the Exchequer, Phillip Hammond, delivered the 2018 Autumn Budget to Parliament. · Fuel Duty. The Chancellor reiterated his commitment to freeze fuel duty for another year, the ninth in succession. · Alternative Fuel Duty Rates. The Government will maintain the difference between alternative and main road fuel duty rates until 2032 to support the de-carbonisation of the UK transport sector. This will be subject to review in 2024. · Vehicle Excise Duty. VED rates for cars, vans and motorcycles will increase in line with PRI from 1 April 2019. Vehicle exercise duty for HGVs will be frozen from 2019-20. · Income Tax. From April 2019, personal tax allowance and higher rate tax threshold will be raised to respectively £12,500 and £50,000. Rates will remain at 20 per cent, 40 per cent and 45 per cent. · Minimum Wage. National Living Wage will increase from £7.83 an hour to £8.21. · Road funding. The Chancellor announced £28.8bn for the entire road network between 2020 and 2025. · Potholes. The Chancellor committed £420m immediately to local highway authorities to tackle potholes and bridge repairs. A further £150million will help improve local junctions, streets and other community facilities. · Company Car Tax and VED. The impact of Worldwide Harmonised Light Vehicles Test Procedure on Vehicle Excise Duty (VED) and company car tax (CCT) will be reviewed and reported on in the spring. · Company Vehicles. Fuel benefit charges will increase in line with RPI and the van benefit charge will increase in line with CPI from 6 April 2019. · Tax Relief for Electric Charge-points. The Enhanced Capital Allowance Scheme for businesses investing in Electric Vehicle Charging points has been extended to March 2023. · Annual investment allowance. The annual investment allowance (AIA) will rise to £1 million from £200,000 for two years. This will be available for all qualifying investments in plant and machinery made from 1 January 2019 to 31 December 2020. · Structures and Buildings Allowance. A 2% capital allowance for new non-domestic structures and buildings will enable businesses to claim capital allowances on the construction costs, including land alternation and improvements costs, of all new properties. · Public Lavatories. The Government will introduce 100 per cent business rates relief for all public lavatories. · Business Rates. Business rates will be cut by one-third for businesses with a rateable value below £51,000 through an extended business rates relief scheme from 2019 – 2021. · Employment Allowance. From April 2020, the Employment Allowance, which provides businesses and charities with up to £3,000 off their employer NICs bill, will be restricted to employers with an employer National Insurance contributions (NICs) bill below £100,000 in their previous tax year. · Apprenticeships Levy. The amount smaller firms will have to contribute towards the cost of training and assessing apprentices will be halved from 10 per cent to 5 per cent. The cap on the amount of their levy funds that businesses can transfer to businesses in their supply chains will be lifted from 10% to 25%. The Chancellor committed to review the future of the apprenticeship levy, including how the policy has impacted different business sectors. · Training and T-Levels. The Government will provide £38m to support implementation of the first three T levels in 2020 across 52 providers. The Government is also launching a National Retraining Scheme and skills pilots to support those in work including self-employed workers. · Digital services tax (DST). From April 2020, the government will introduce a new 2% tax on the revenues of search engines, social media platforms and online marketplaces to ensure that the amount of tax paid in the UK is reflective of the value they derive from their UK users. The tax will apply to groups that generate global revenues from in-scope business activities in excess of £500 million per annum. NFDA & DRIVE MY CAREER AT AM LIVE NEXT WEEK!